Intro by the editor: Remote Viewing is a very controversial thing. But what is even more controversial is when the best Remote Viewers have perceptions of several underground UFO bases on Earth. Some months ago the former Canadian minister of defence asked Canadian Parliament to hold hearings on relations with alien "ET" civilizations. He speaks of finally disclosing the biggest secret in human history, ET presence on Earth. When then Lt. F. Holmes 'Skip' Atwater began the US Army Remote Viewing Star Gate program in 1978, he had no idea that he'd challenge his viewers with targets like underground UFO bases. Atwater grew up in a southern California home where it was normal to talk about things like leaving your body and hands on healing. During the Vietnam Era, on February 14, 1968, he joined the Army as an intelligence specialist. In 1977, Atwater packed up his wife and three kids and headed towards his new duty station, Ft. Meade, Maryland, to join the US Army's elite Intelligence and Security command program, Systems Exploitation Detachment or SED. He worked on the Sensitive Activity Vulnerability Estimate or SAVE team. Cold war commanders were expected to take measures to protect ALL aspects of their operational capabilities. Once a new threat was identified, the SAVE team would 'attack' a command, challenging all aspects of security. Exploring his new Ft. Meade office, Atwater opened up his safe and discovered three Department of Defense documents "mistakenly" left by his predecessor. The first two described the Soviet Union's research into psychic spying. The third was written by Targ and Puthoff and described remote-viewing research at SRI International in Menlo Park. Atwater read a 1972 report on how the Soviets were conducting parapsychology research at over 20 separate institutions with an annual operating budget of over 21 million dollars. The KGB funded this research. The other document described 'bioinformation' such as telepathy, precognition and clairvoyance and bioenergetics like psychokinesis and telekinesis. 'Sounds like remote viewing to me,' Atwater thought. Soviet Remote Viewing was now considered as a potential security threat. The third document described Project SCANATE, highly classified, CIA funded remote- viewing research conducted primarily at SRI that demonstrated the ability of remote-viewing surveillance to acquire and report intelligence to the intelligence community. According to Atwater, Remote Viewing is: The acquisition and description, by mental means, of information blocked by ordinary perception by distance, shielding or time. A way of perceiving something with mental powers alone using a scientifically designed, protocol driven structured process for acquiring information. Typically, a viewer and interviewer are isolated with a target, which may be a picture or randomly generated numbers, in a sealed envelope. Neither know what the target is and are both blind to the target. This is known as working 'double blind' so the interviewer can't feed information to the viewer. The interviewer might ask 'Describe the location inside the envelope?' The viewer might then make sketches or jot down brief word descriptions. Atwater then designed a proto-type RV program to assess if we could defend and/or hide our secrets from the Soviets and began working with SRI to orient the first six candidates to remote viewing. As operations and training, Atwater needed to 'determine the operational capabilities and limitations of remote viewing, identifying and developing the individual RV skills, and test and evaluate the accuracy of remote viewing on unique targets.' Challenge targets such as ET's and UFOs were used to hone skills and stretch RV capabilities. Atwater not only worked with Robert Monroe to develop his training program, he also co-operated with Targ and Puthoff at SRI and learned of a viewer named Pat Price. Price believed that ET's had established four underground bases, had remote viewed them and provided Puthoff with descriptions of their locations and functions. Hal Puthoff, Ph.D., founded and directed the CIA funded Remote Viewing program at SRI from 1972 to 1985. Price, who died under mysterious circumstances in 1975, was believable had a proven RV track record and had neither agenda nor any axe to grind. Puthoff passed the same folder on to Atwater in the early '80's, saying 'You might be interested in this.' At this point, it's important to note that Price's information was viewed without protocols, the results were not officially reported and Price did not use sealed envelopes. Price's report stated that the bases primary purpose was to 'reinforce B.T.L. implants, transport of new recruits and overall monitoring function.' Today, Atwater has no idea what B.T.L. implants are and to his knowledge, no one has remote viewed this term. So where are these bases? Mt. Perdido, aka Mt. 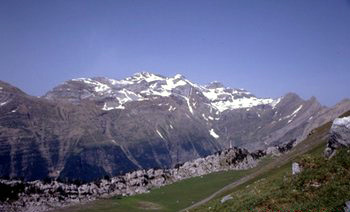 Perdu, is 3,352 m, 11,007 ft. high and is the third highest mountain in the Pyrenees. It's about a quarter inch west of Andorra. Price reported that the main base was protected around a 2-mile perimeter with detectors. Several craft were in the launch recovery area and had what looked like an electromagnetic field propulsion system. Price's next underground base location is Mt. Inyangani, the highest mountain (2,592 m, 8,503 ft) in Zimbabwe, formerly Rhodesia, Africa. 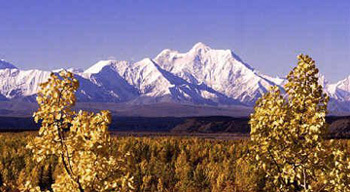 Atwater suggested that if a probe was launched over this part of Alaska, that it might be interfered in some way, to prevent detection of the Mt. Hayes base. The fourth site is Mt. 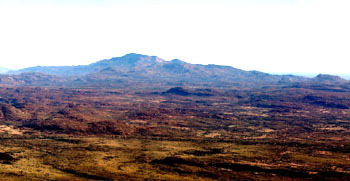 Ziel, a personnel center, in Australia's Northern Territory. 'It is interesting that this unit appears to have the most personnel. There are personnel from the other three sites here, like a rest and recreation area.' 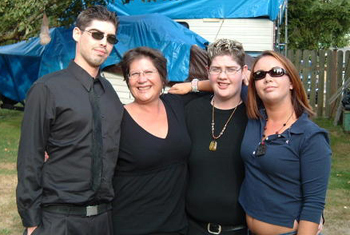 For a few moments, Price felt slightly disoriented and decided they had detected him so he led them to Melbourne. Price returned to the site and saw vehicles from the other bases, with each having different ID marks that correspond to each site's different functions. 'Mt. Ziel had personnel for all bases and is the homosapiens introduction point.' he observed. Price also noted that the site should be approached with caution and that the area was under alert at that moment. Atwater looked at Price's data and asked 'Is any of this true?' After reviewing the file, Atwater conferred with Puthoff. 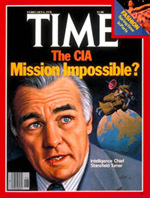 Puthoff told Atwater that a colleague of his knew northern Australia's CIA station chief and had decided to call him and ask what was going on. Atwater emphasizes that this targeting was his idea, that there was no CIA or military tasking. He was a military officer in a military unit using his own challenge targets to test and evaluate the viewers he was training to see how they were progressing. As such, the challenge targets were viewed under strict protocol. McMoneagle perceived a mountainous location with underground tubes and tunnels and ball shaped objects. 'The whole thing is underground and is powered by like an atomic power plant. I have seen something and don't have the rudimentary terms to describe it,' McMoneagle continued. According to McMoneagle 'This is a prototype of something. I don't get an aggressive nature to this target. I don't sense the presence of individuals at the target.' McMoneagle went on to draw some radio type of intercept things. Star Gate team member Mel Riley, US Army, ret., was given this same target in November, 1986. Riley's introduction to RV happened when an agent on the ground had taken a picture of a piece of military machinery that was completely covered by canvas. He told his comrades that he could draw what was under the canvas. He proceeded to draw what he pictured and in his terms, the feedback he received was, "It totally freaked them out". Immediately thereafter, Mel was asked to go to Ft. Meade. He worked in the unit as a viewer, project officer, monitor, and analyst. He began with the impression that structure is some sort of UFO. 'A dark figure is seated at a circular control panel, another light figure is in the background,' he viewed. 'The structure is located within a mountain with a large triangular peak with a large lake at the base of the mountain,' Riley recorded. dated Sun, 21 Apr 2002 08:35:22 -0500. The structure mentioned in the Mt. Hayes session was not a UFO. It was merely a complex located within the mountain. Fortunately I have a copy of the monitor's summary. I will include it here in its entirety. The above is complete and verbatum. For this session I was completely blind as to what the target was. I was given only a set of coordinates and asked to describe the location. The coordinates given were the actual lattitude/longitude of Mt. Hayes, Alaska. 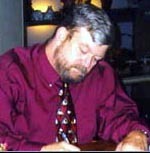 Joe McMoneagle runs his own Remote Viewing company Intuitive Intelligence Applications at mceagle.com, has written MIND TREK, The Ulitimate Time Machine, Remote Viewing Secrets and THE STARGATE CHRONICLES: Memoirs of a Psychic Spy. He most recently astounded Japanese police by Remote Viewing a woman in her apartment who'd been missing for 27 years. Mel Riley lives a quiet life in a remote part of the mid-west, is involved with Native American culture, participates in pow wows and is Vice-Commander of the Mohican Veterans.